Hull City Council has today published a decision record that confirms that the Woodford Leisure Centre project continues and funds for the project will be vired to fulfil the aspirations of the scheme. Funds will be moved across from the Visitor Destination Phase 2 programme into Phase 1, meaning that the ambitious elements of the project will go ahead. Working closely with NPS Humber and the council, contractors Esteem have carried out comprehensive funding assessments to ensure the council receives best value for money on every aspect of the scheme. Plans include the creation a six-lane, 25m swimming pool with attached learner pool and improved changing and catering facilities, following demolition of existing entrance area. The car parking area will be relocated and provide additional spaces. The main catering facility will relocate from the first floor to the ground floor, front of house, ensuring that the offer is easily accessible to the public. Proposals will also see a new sauna and steam room installed, enhancing Woodford’s offer further. The installation of new environmental technologies will also look to reduce longer term operating costs. Hull City Council has today published a decision record entering into a second early works agreement with Hull Esteem Consortium LEP Limited for the expansion of Woodford Leisure Centre. The agreement will ensure the work to the centre will remain on track whilst financial close is reached with the contractor. Work has already started on the extension which will see a brand new 25 metre six-lane swimming pool and learner pool, as well as improved changing facilities. Additional plans also include new sauna and steam facilities, a café located at the new entrance and enhanced parking facilities. The installation of new environmental technologies will also look to reduce longer term operating costs. These further early works will commence on 23 November and will include site clearance, design, manufacture and installation of piling mat as well as highways works. The project expected to complete in early 2018. One of Hull’s much-loved leisure centres is preparing to close its doors ahead of a multi-million pound refurbishment and extension. 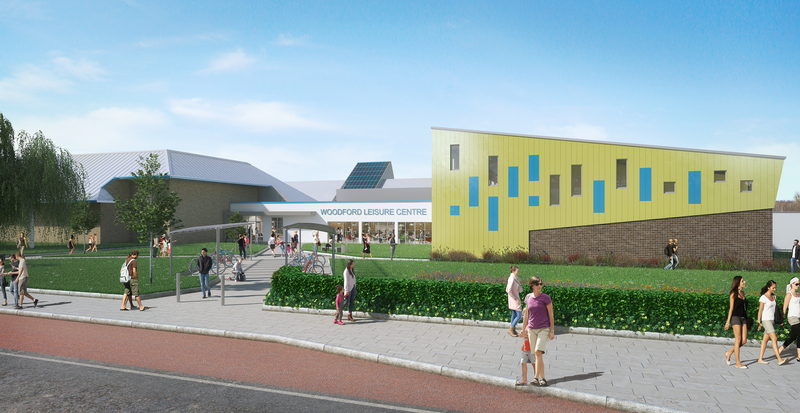 Woodford Leisure Centre will close on Friday 30 September for work to begin on the extension that includes a brand new 25 metre six-lane swimming pool and learner pool, as well as improved changing facilities. Users of the centre are being encouraged to use alternative council facilities during the closure, including a new gym that has doubled in size at Ennerdale due to open this week, as well as gym facilities at Costello Stadium. Alternative swim facilities are available at Ennerdale, East Hull Baths and Beverley Road Baths. Hull Culture and Leisure has been working closely with existing sports and activity clubs currently using Woodford to find alternative accommodation for them with the majority already arranged. “Following extensive consultation with users of Woodford, local residents and visitors to 2015’s summer engagement roadshows, the new facilities at Woodford have been designed to reflect their views. “While Woodford is closed for major improvement work we are keen to ensure continuity in the council’s leisure offer. The city’s other leisure facilities ran by Hull Culture and Leisure are fantastic and the extension of Ennerdale’s fitness suite is very welcome. “This is a very exciting time for the leisure service and the icing on the cake will be the newly extended pool at Woodford. I’m very much looking forward to seeing this project progress over the next year and would like to thank users and staff for their support and co-operation during this time. Work will commence on the centre mid-October once a decant of equipment has taken place, with the project expected to complete early 2018. Users of Woodford and other council leisure centres that have questions about the closure are asked to speak to staff at the centre on 01482 331 322.